Shopping for a new sofa isn’t an easy task. You need to find a style you like that will suit your home while fitting in with the dimensions of your room. The colour of a sofa has a massive impact on the room itself; it can affect how much you need to care for your sofa and even the comfort of the whole room. Here we’ll run through the main considerations when choosing a sofa and the colours that best suit them. Naturally this is the first thing that comes to most people’s minds when choosing a leather sofa. Neutral colours such as cream, grey and white complement most environments, and if you decide to paint your room or change the look of it neutral colours allow you to be more versatile. Neutral colours can easily be dressed up with bright or patterned colours and throws. On the flipside, you might want a bright vibrant 2 seater or 3 seater sofa to spice up a neutral room. In this case it’s a good idea to match accessories around the room, such as lamps, photo frames and coasters, with the same colour as the sofa to maintain a bit of coordination. Settees just seem to be getting larger nowadays so it’s no surprise that people are looking for ways to make their room seem larger. If you have a large living room with plenty of space the settee colour isn’t too much of an issue, but smaller rooms would do well to stay away from richer, darker colours which can make the sofa appear larger and more overwhelming. No doubt you’ll spend plenty of hours lounging on your sofa so you want to make sure it’s comfortable! 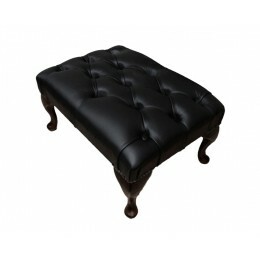 Leather sofas provide luxury and are easy to clean while fabric sofas can provide a more comfortable seat for children. Always try out your chosen sofa before purchasing it to get an idea of how it really feels. Where there are children and pets there are stains – it’s a fact of life! So when choosing a new fabric or leather sofa you want to be sure staining is kept to a minimum. Dark colours like brown, black and dark grey are the best choices for avoiding and hiding stains so you can enjoy a tidy, clean looking settee for longer. At Zest Interiors we offer a wide range of colours in our 2 seater, 3 seater and sofa bed collections. From oxblood red to antique green to vibrant white to chocolate brown, we provide all the colours you need to complement your home and achieve the effect you want, be it a larger looking room or keeping your new settee looking nicer for longer! Call on down to our Showroom where you can browse our coloured leather settees and fabric sofas for yourself, while getting expert advice from our professional staff. Alternatively, give us a call on our sales Hotline for more information. 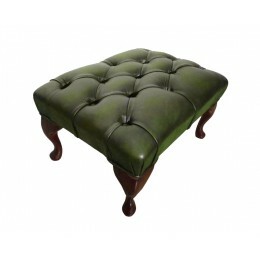 The Chesterfield is a world renowned sofa collection and this original design footstool will be..
0 Comments To "Choosing the Right Colour Sofa for Your Home"